Klika Director - Matthew Etchepare email at matthew.etchepare@gmail.com. 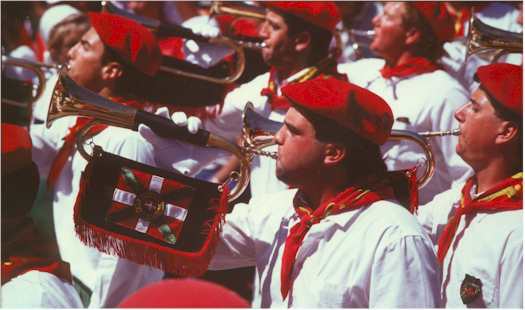 The Zazpiak Bat Klika is a Basque marching band made up of bugles, french horns and drums. They play at several Basque festivals throughout the year.